A band festival held in New Delhi has been the perfect chance for young musicians to make a name for themselves. Afghan rock band “Kabul Dreams” speaks for the generation who wants a return to a normal, peaceful life. 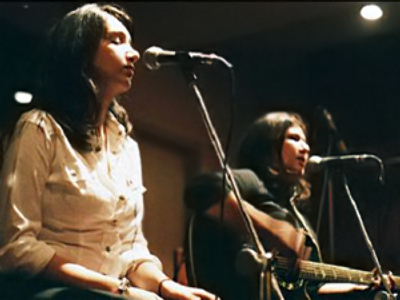 Coming from Afghanistan, they sing about girls, love – everything but war. “Kabul Dreams” defines their style as indie rock. Band guitarist Siddique Ahmad says it is because the band’s main influences are Brit pop and indie rock bands. The band plays music they believe is relevant to the Afghan youth today who are yearning for a normal life. Kabul Dreams played in New Delhi recently at the South Asian Bands Festival featuring 15 rock bands from nine countries. For many of them, breaking into the music scene was a dream come true. Sanjeev Bhargava, one of the festival’s organizers, says it is a pity that not all young talented bands have the possibility to express themselves. When Pakistani band “Strings” performed at the festival, the audience cheered them on, putting aside the recent strained ties between India and Pakistan. “Leave politics and all that aside. It’s music. Let music be music. You know, borders don’t matter to music,” said Rahul Sen from the audience. Will they work it out?